After a successful period leading the College of Social Sciences, Arts and Humanities on an interim basis, we are pleased to announce that Professor Henrietta O’Connor has successfully secured the role on an ongoing basis. Henrietta is a Professor of Sociology and joined the University’s Centre for Labour Market Studies in 1997, before moving to the School of Media, Communication and Sociology in August 2014. She is a Senior Fellow of the Higher Education Academy, an Academic Fellow of CIPD and an elected trustee of the British Sociological Association. Henrietta’s principal research interests focus on the sociology of work, in particular debates around transitions to and from the labour market. Aside from her successes as Interim Head of College, Henrietta is also Chair of the University Equality and Diversity Committee. Since August last year she has been providing great leadership for the College and addressing challenges around the key strategic priorities of student recruitment, teaching excellence and research excellence. 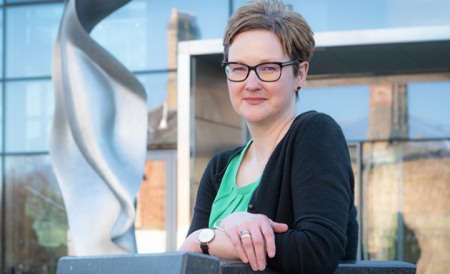 Professor O’Connor said: “I’m delighted to be formally appointed to the role of Head of College and I am looking forward to continuing to work with staff and students in the College of Social Sciences, Arts and Humanities and across the University.